Remember Miss Josephine Ugwu? She is the cleaner at the Muritala Muhammed Airport who found and returned 28,000 US Dollars and other currencies totaling about 12 Million Naira while cleaning a toilet near the screening point of the departure area of the airport. 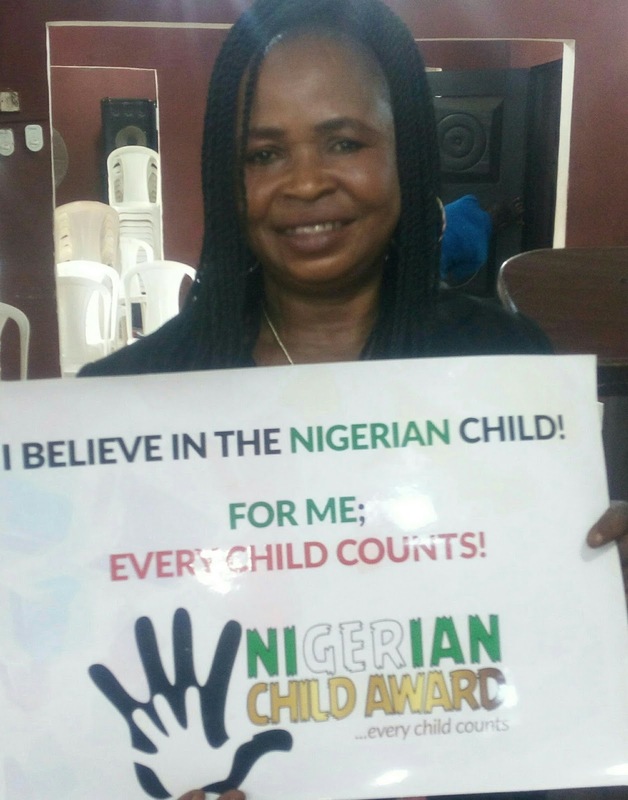 the Nigerian Child Award visited her and decided to name the Nigerian Child Integrity Award after her. The decision to name the Integrity award after her is to inspire and encourage every Nigerian child that honesty and integrity pays. It will be recalled that was the third time Miss Ugwu, a cleaner who earns 7,500 naira would see and returned huge sum of money to the security. Aside naming the Award after her name, she will also be at the event scheduled for the 19th of August at the prestigious Lagos Oriental Hotel to personally present the award to the winner and share her stories. The Nigerian Child Award is the first award in Nigeria, entirely dedicated to celebrating the Nigerian Children. The award is aimed at identifying and giving proper recognition through the conferment of awards of excellence and distinction to individuals or groups within the ages of 6-15 years old who have distinguished themselves as brilliant exemplars of society and have displayed outstanding bravery and inspire other children with their actions in different fields such as scientific discoveries, politics, academics, performing arts, literature, humanities, business and philanthropy and others.